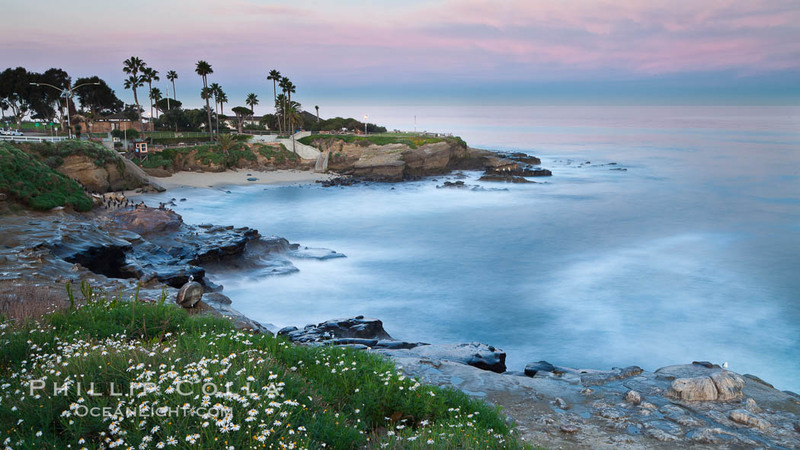 Earth Shadow lies over Point La Jolla at dawn. 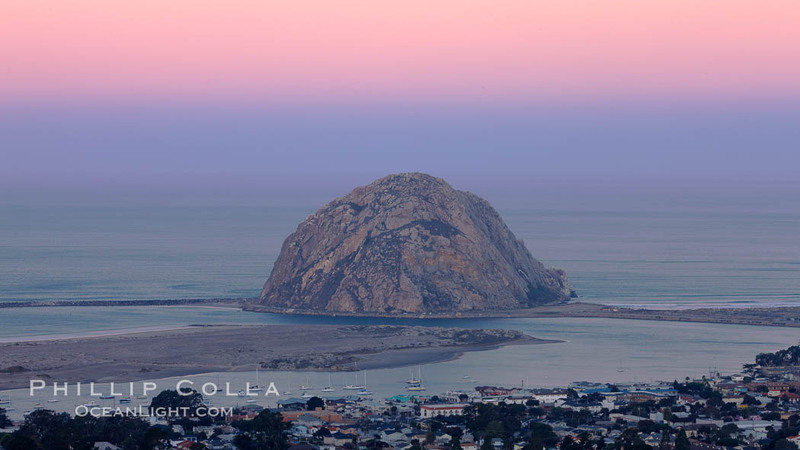 Earth shadow over Morro Rock and Morro Bay. 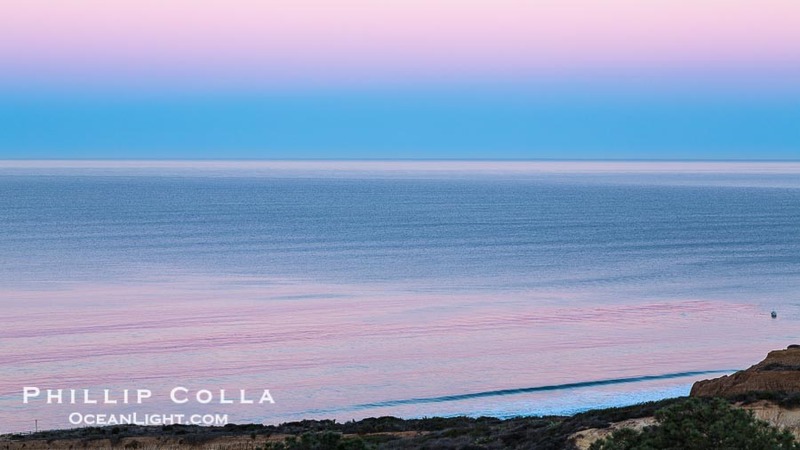 Just before sunrise the shadow of the Earth can seen as the darker sky below the pink sunrise. 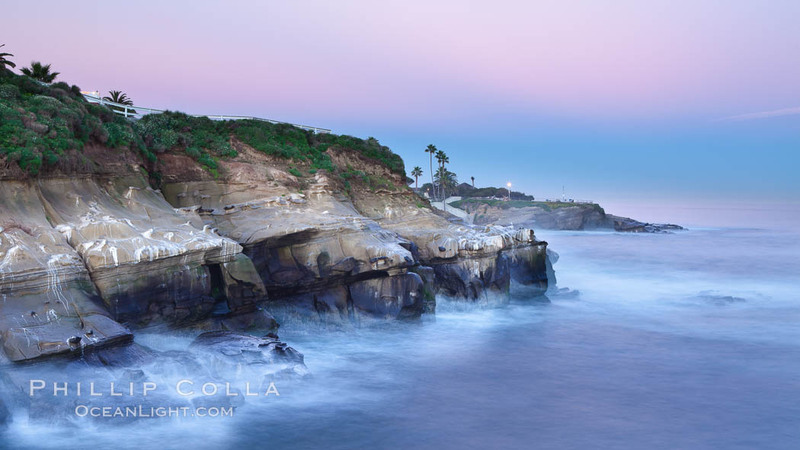 See more photos of La Jolla and Morro Bay photographs.